Steven (Chicagoland, United States) on 3 April 2019 in Plant & Nature and Portfolio. I love how the undersides of the leaves have a brown-green "reversed" look to them. I have often seen this plant but I didn't know its name. Now I'll know. Beautiful details. Yes, the stripes on the leaves really do resemble peacock feathers. Très joli mélange de verts. Very interesting the 2 colors leaves on this plant. What a greencolors together ! Very well taken Steven. Excellent color and detail. You are right! The undersides are more interesting than the tops. Peacock plant varieties are staggeringly huge! I used to have some that looked like "fish bone". Voilà encore un feuillage surprenant et magnifique ! Well named leaves. Lovely light and details. Beautiful leaves ! well framed ! J'aime ces feuillages aux couleurs différentes. Magnifique. Des nuances de vert magnifiques! Fabulous detail and highlights ! The leaves have a hand-painted look to them. Very beautiful. I can see where this plant got it's name. Nice shot. 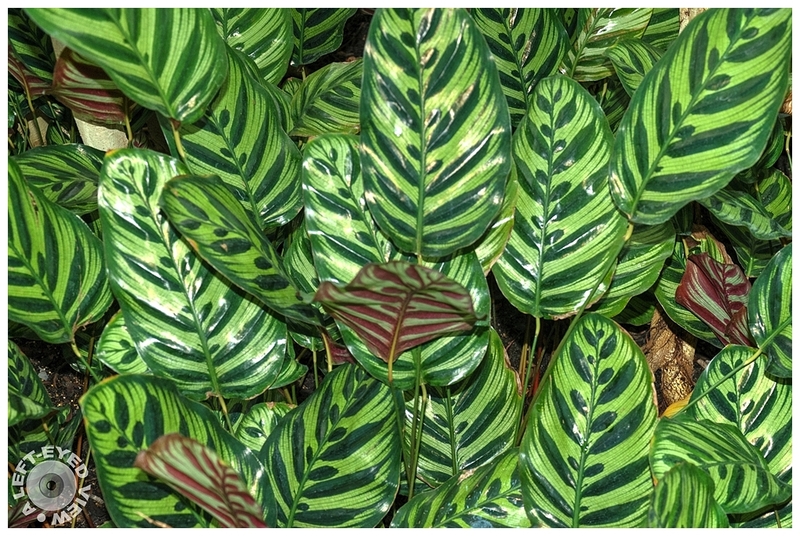 What a beautiful maranta !!! I love this plant. These leaves are spectacular. I love the patterns and the colors! I can see the resemblance to the peacock. It is handsome - and like many butterflies, the underside belies the upper! It resulted in visually engaging graphics.